In blue jeans and a pullover, Princess Christianna is a young woman of her times: born in Europe, educated in America, worried about the future of the world she lives in, responsible beyond her years. Christianna is the only daughter of the Reigning Prince of a European nation that takes its royalty seriously–and her father has ironclad plans for Christianna’s life, a burden that is almost unbearable. Now, after four years at Berkeley, life in her father’s palace cannot distract Christianna from what she sees outside the kingdom–the suffering of children, the ravages of terrorism and disease. Determined to make a difference in the world, she persuades His Royal Highness, her father, to let her volunteer for the Red Cross in East Africa. And for Christianna, a journey of discovery, change, and awakening begins. Under a searing East African sun, Christianna plunges into the dusty, bustling life of an international relief camp, finding a passion and a calling among the brave doctors and volunteers. 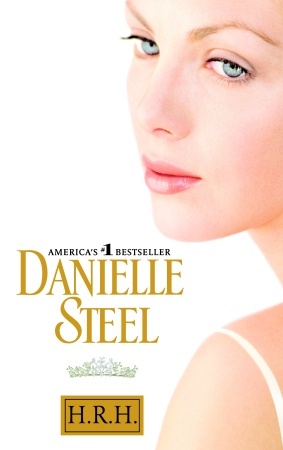 Finally free from the scrutiny of her royal life, Christianna struggles to keep her identity a secret from her new friends and coworkers–even from Parker Williams, the young doctor from Doctors Without Borders who works alongside Christianna and shares her dedication to healing. But as violence approaches and invades the camp, and the pressures of her royal life beckon her home, Christianna’s struggle for freedom takes an extraordinary turn. By a simple twist of fate, in one shocking moment, Christianna’s life is changed forever–in ways she never could have foreseen. 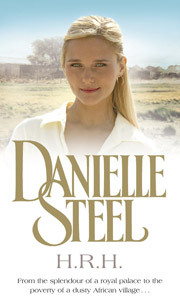 From the splendor of a prince’s palace to the chaos of war-torn nations, Danielle Steel takes us into fascinating new worlds. Filled with unforgettable images and a remarkable cast of characters, H.R.H. is a novel of the conflict between old and new worlds, responsibility versus freedom, and duty versus love.